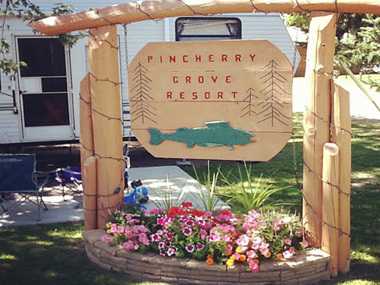 Pincherry Grove Resort is a family friendly resort located just 10 miles from Grand Rapids, MN. We are certain you will want to make this a family destination for years to come! 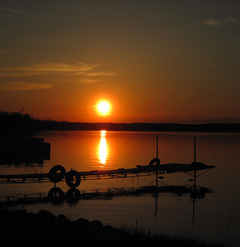 We offer 9 cabins on a beautiful piece of lakeshore on Bass Lake. Our clear waters is the perfect place to fish for Walleye, Northern Pike, Bass, Bluegill, and Perch. We rent pontoon boats, boats and motors on a daily or weekly basis. Your family can enjoy fishing, kayaking, canoeing, paddle boating, and swimming at our sandy beach area that is perfect for young children! For rainy days, the resort lodge has a large game room including a pool table, foosball and pingpong. There are also board games and toddler toys. Forget something? No problem! Pincherry lodge carries ice, ice cream, treats, pizza, pop, and beer.